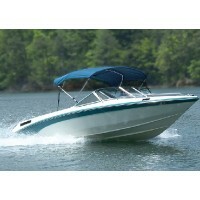 Bimini top blue 46h 75-81w Color: BlueWidth: 75"-81"Length: 6'..
Bimini top blue 36h 68-74 Color: BlueWidth: 68"-74"Length: 6'..
Bimini top black 46h 68-74w Color: BlackWidth: 68"-74"Length: 6'..
Bimini top blue 46h 68-74w Color: BlueWidth: 68"-74"Length: 6'..
Bimini top green 46h 68-74w Color: GreenWidth: 68"-74"Length: 6'..
Bimini top green 46h 75-81w Color: GreenWidth: 75"-81"Length: 6'..
Bimini top black 46h 82-88w Color: BlackWidth: 82"-88"Length: 6'..
Bimini top blue 46h 82-88w Color: BlueWidth: 82"-88"Length: 6'..
Bimini top navy 36h 75-81w Color: NavyWidth: 75"-81"Length: 6'..
Bimini top wht vinyl 36h 75-81 Color: White VinylWidth: 75"-81"Length: 6'..
Bimini top navy blu 46h 68-74w Color: NavyWidth: 68"-74"Length: 6'..
Bimini top wht vynl 46h 68-74w Color: White VinylWidth: 68"-74"Length: 6'..
Bimini top navy blu 46h 75-81w Color: NavyWidth: 75"-81"Length: 6'..
Top height 42" x 6' length.Brite anodized 7/8" heavy wall aluminum frame for strength and durability..
Frame and fabric sold separately. Color: 61"-66"Beam Width: ..
Frame and fabric sold separately. Color: 67"-72"Beam Width: ..
Frame and fabric sold separately. Color: 73"-78"Beam Width: ..
Frame and fabric sold separately. Color: 79"-84"Beam Width: ..
Frame and fabric sold separately. Color: 85"-90"Beam Width: .. Fully Assembled, Complete Bimini Tops Ready to Install54" High x 6' long. Storage boot included. Tru..
3 BOW SERIESFrame and fabric sold separately. Color: 91"-96"Beam Width: ..
3 BOW SERIESFrame and fabric sold separately. Color: Beam Width: 61"-66"..
3 BOW SERIESFrame and fabric sold separately. 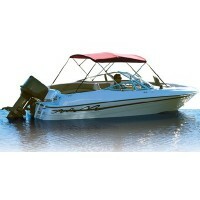 Color: 67"-72"Beam Width: ..
3 BOW SERIESFrame and fabric sold separately. 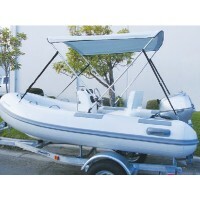 Color: 73"-78"Beam Width: ..
3 BOW SERIESFrame and fabric sold separately. Color: 79"-84"Beam Width: ..
3 BOW SERIESFrame and fabric sold separately. Color: 85"-90"Beam Width: ..
3 BOW SERIESFrame and fabric sold separately. 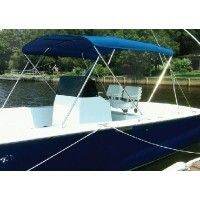 Color: Pacific BlueBeam Width: 61"-66"..
3 BOW SERIESFrame and fabric sold separately. 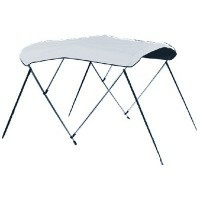 Color: White VinylBeam Width: 61"-66"..
Frame and fabric sold separately. Color: Jet BlackBeam Width: 61"-66"..
Frame and fabric sold separately. Color: Pacific BlueBeam Width: 61"-66"..
Frame and fabric sold separately. Color: White VinylBeam Width: 61"-66"..